Being cheated out of their dream would destroy most people. Not Ian John-Lewis. He used the hurt and pain of this to propel himself to not just become one of the world’s best referees but one of the most respected men in boxing today. The only black boy in his school and growing up in the Sixties, wasn’t the easiest start, but his character ensured he overcame any disadvantage life would through at him. Ian had to earn respect and has earned it, by being true to himself and fair to all…whatever the consequences. From the inmates he has locked up, the boxers he fought and refereed, to the business men and promoters in boxing, noone has a bad word to say about Ian John-Lewis. He is the championship contender cheated out of his shot, the man who has refereed the oldest boxing world champion and one of only five British referees to be the ‘Invisible Man’ at the World Heavyweight Championship. He is a fair man. I have read a lot of autobiographies (my favourite books) and I can hand of heart say that this is my far my favourite. It was so hard to put it down as it always left me wanting to know the next major incident that was going to happen, be it, fighting at school, being robbed of a title or when you was finally to get the big fight as a referee you always wanted. So glad you finally got what you wanted and really deserved. Your storey truly deserves to be out there for everyone to read and should never have worried that there would not be enough to read and I thought Mark did a great job, very well written which made it easy to read, it never got dull. I have read the book already, (two days) and just wanted to say how good it was, I couldn’t put it down. Well Done. Ian, first and foremost the book is fantastic! Love the style it is written in, bite size chunks, well done Mark. I feel all different emotions reading it and some of it I remember from our chats in the ‘dungeons’. Thank you for your honesty-the lows as well as the highs. Hi Ian,Just a quick one pal to say that I thoroughly enjoyed your book! Ian, finished the book and gotta say what a bloody good read mate!! I always have respected you, but even more so after reading your bio my friend. What a very nice easy read about your struggle early on in life to how you became a World Respected Boxing Referee. I’m honoured to know you!! Ian, read your book….’It had me from the Preface’ Brilliant! Hello Ian, Your book was a great read! Once I started reading it, I couldn’t put it down. Really enjoyed your book Ian, could relate to lots with the boxing & refereeing which made me smile. Congrats and well done pal. Hi Michael. Many thanks for your very kind words about my book and for your best wishes. Ian. A great read but I won’t spill the beans about what it’s about, you’ll have to buy it to find out. What I will say is I couldn’t put it down, I’ve read a few but this one was by far the best. Emotional at times and hilariously funny throughout, well written and read as in the words of the true gent himself. I have passed it on to my mum to read & others (family & friends) are waiting in line to read it. This is a truly inspirational autobiography, well worth a read. Highly recommended, great read from start to finish!!! Hi Carolyn. Thank you for taking the time to write to us with your review of the book. We are glad you enjoyed reading it. I have just finished your book, my own world record as I’ve never read a book so quick in just 7 days. I couldn’t put it down, one evening totally forgot I’d put my dinner on, picked my book back up and funny smell later burnt dinner. What a truly amazing story, no matter who Ian John Lewis came up against or met through out his career or life or in the boxing world he showed nothing but respect for them no matter who they were. You don’t find that that often these days in this world and not a bad word said against anyone. True gent. Well done on writing this and I can’t wait for the next book. Thank you Debbie for taking the time to write this for us. Firstly, I’m not a boxing fan. I never heard of Ian before Thursday 19th February. I was privileged to meet this man at a boxing event where I was working as a medic for the fighters, Ian sat behind us. Ian walked into the dressing rooms where I was carrying out the medicals and instantly there was a change in the atmosphere! The charisma and energy from this man was felt by all!! I read the back of the book and was hooked straight away, I had to buy a copy there and then! Only problem was I couldn’t put it down and nearly missed one of the fighters getting KO’d!! This book should be under the section for motivational speakers. What a true story of sheer grit and determination and all because he believed in himself. No one was going to put him down or say he couldn’t do something, Ian believed he had the ability and he went for it. Something we need to be teaching our youngsters, if you believe in yourself, who cares what anyone else thinks. This book is truly remarkable and a great credit to Ian’s career and it’s written brilliantly! No need for elongated in depth paragraphs just straight to the point . It hurt. Enough said in reference to his school trip! Thanks for taking the time to deliver this book Ian and it was an absolute pleasure to be amongst your company !! Thank you for your very kind words Iain. I am glad you like the book and it was great to meet you at the Boxing event also. If you want to be inspired and motivated then this is the book for you. A story of a man that grew up in a town where you needed to be tough and smart to survive. Ian is exactly that – a very honest and genuine man. Couldn’t put the book down. Its a hard hitting tale of determination, grit and one man’s love of his family. A book brilliantly written. A ‘Jewel in the Crown’ of the biography section. A must read. 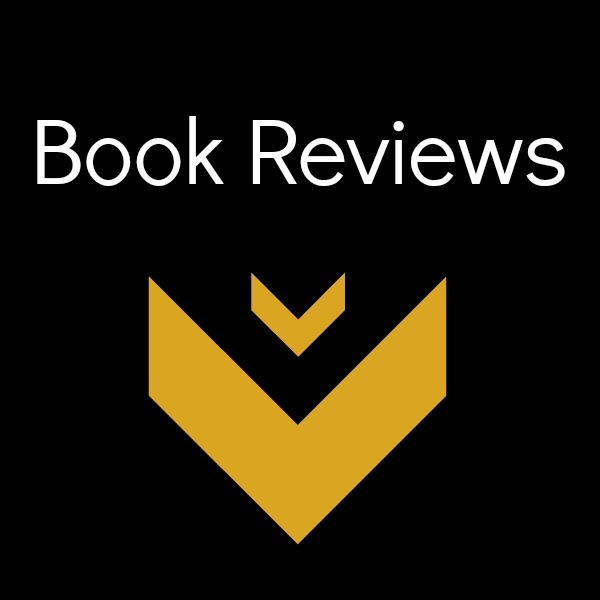 Thank you for taking the time to read my book and for writing this review. It os much appreciated and I am glad you enjoyed it. An amazing read and even better story of a hard working and driven man who was set out to fulfil a dream, I read many autobiography’s and this is up there with the best, a humble man who I am honoured to have met and call a friend, a must read. Thanks Chris. Very much appreciated. It has been an absolute pleasure to read this honest and intimate account of Ian’s life, love, family, friendships and career. I would strongly recommend this book for sports fan and non sports fans alike. The way Mark Heffernan has used humour to carry the reader through the twists and turns of this incredible life story is inspired. This book like the man himself is a true inspiration. If you want to smell the sweat, see the leather bulge on the punch bag, see tears of joy and the pain of defeat. In other words if you like your Boxing in the raw, then this is the book for you. Ian John-Lewis has produced a punchy classic, raised in the rough end of the Medway Towns, Ian’s warmth, humility and sincerity shine through the pages of this book. It is all here from the bottom to the top, the fight game as it really is. Love it! IJL describes life growing up in the Medway Towns, attending a local boxing club and the ups and downs of life on his journey to the top of his Industry, an absolutely fabulous read with humour and emotions that will grip you from the start till the end, Impossible to put down from the moment you start to read, IJL is honest, humble and a true gentleman and his story is put together wonderfully by Mark Heffernan. A must read for all boxing and sports fans ! This Book is going to be Epic Ian John Lewis was a great Boxer and top Referee who is down to earth and a Gentlemen. It is going to be a privaledge to read an Autobiography about someone you know and have worked alongside with outside of boxing. thanks for your kind words you wrote in my book. you every success with this book. It’s nice to read about the life of a person that is genuine and a credit to their profession. An amazing read, I would recommend this book to boxing fans, sports fans or anyone actually! Ian is a great role model when it comes to honesty, integrity and love of the sport. A great read! This is a stunning top the bill autobiography. 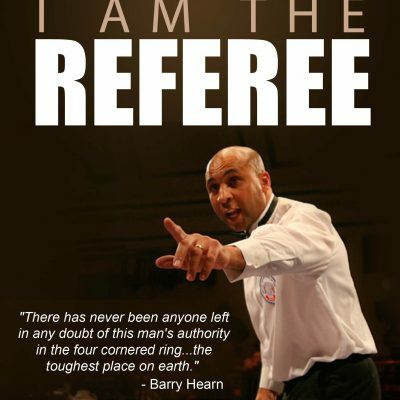 An extremely well written page turner full of insight into the world of boxing and refereeing. A heart warming account, innocent at times, motivational, insightful, knowledgeable and laugh out loud funny. The anecdotes about locking up the “crims” in Chatham nick are heartfelt one moment, full of compassion and humor. The mobile and charger hidden in the “Chatham pocket” still has me laughing! Ian’s career has been stella and he fully deserves the success. This book must become a film! Ian you are the Referee…good on you mate.